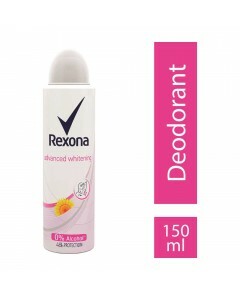 Rexona deodorants are specifically designed to prevent odour caused by sweat + bacteria. Did you know,even one drop of underarm sweat + bacteria = 90%* of body odour? Contrary to popular belief, underarm sweat by itself is odourless. However the bacteria feeds on this underarm sweat and their waste products is what causes body odour. To stop body odour at its source, you need Rexona Deodorant. Rexona acts on underarm sweat where bacteria thrive, to keep you smelling clean and protected from odour all day It has SWEATGUARD technology which gives you 10X PROTECTION and prevents odour from sweat + bacteria. Rexona Advanced Whitening Deodorant Spray with Sunflower Seed Oil whitens underarms in 7 days. With a dry & fresh feel, it gives long lasting 48hr protection against odour, keeping you clean and fresh all day. 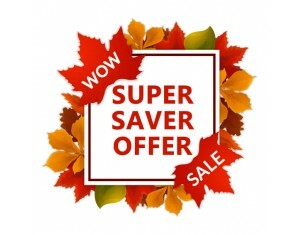 With 0% alcohol, it is safe on skin and is dermatologist tested. Whether you re scaling a mountain, running for the bus or train, presenting to your boss or going for your first job interview, you can be confident of the best protection against body odour.